Home » Latest » Suzanne Keane’s First Car…..
My first car is where it all started… where I picked up the VW bug….. I guess it was inevitable – Since I was 8 years old my dream car had been a VW Corrado, as I got older this became more specific- a Corrado G60. But it was hardly an ideal choice for a beginner! 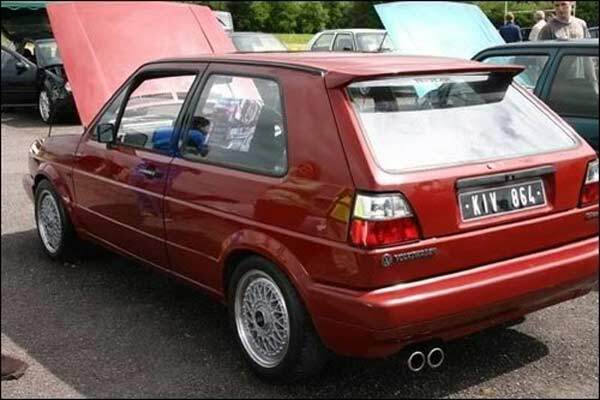 I can still remember the first time I saw my 1985 Gambia Red 1.3 Golf C, behind the old VW garage in Castleisland. Covered in specs of white paint , leaking water and with a broken door handle….! But I fell in love instantly. My dad wasn’t so sure, but I soon talked him round! My 17th birthday came and soon I was cruising Killarney in the driving instructors red yaris (how embarrassing) but it wasn’t until 3 months later “project Golf” was roadworthy. I don’t think I’ll ever forget my first on-road journey – 2 front seats, no carpets, no door cards and L plates! 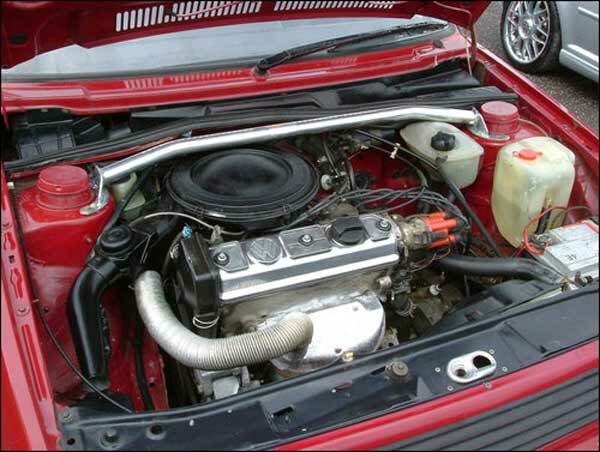 From that moment on my life had changed forever – weekends were now spent cleaning and polishing and my evenings were wasted trawling car magazines looking for inspiration! We spent the next 5 years together, touring the country from one end to the other with a few extra modifications along the way. No matter how bad a mood I was in, a quick spin in the Golf would cure it! The only bad memories I have are of a few breakdowns (inevitable really), followed by consistent weekly break-downs. As much as I hated to admit it, the 20 year old engine was in need of some serious TLC if I was to continue using it as a daily driver. Decision made, I started hunting for new wheels. In October 2005 I bought my dream, an Inca Blue Corrado G60 (1.8 Supercharged). But “Charlie” will live again – and out of all my cars is still the favorite! He’s in hibernation in my garage, with a new engine, Porsche tombstone seats and 8″ wide split rims ready to be fitted…….